Under the clear, sparkling sky of a cold November morning, the Balkan mountains offer the best of their timeless appeal. The beech, dressed by the advanced autumn in bright red, yellow, and orange, mix with the severe green of pines, with their thin peaks solemnly blowing in the wind. Two narrow valleys wind through the woods, and just where the two brooks meet, where shiny water meets shiny water, sprout the first square roofs of Gorna Bela Rechka. The village seems asleep, suspended in a silence filled only the ubiquitous gurgling of the stream and the lonely echo of a distant barking. The streets are empty: only at the bus stop, plastered with old and new obituaries, some old people talk to the slow rhythm of their swinging sticks. "Some people come to spend the summer, but in the winter there are no more than twenty or thirty of us left. All elderly, or almost". "Uncle" Kiro Milanov is speaking in front of a glass of rakija, the bitter Balkan brandy. After reviving the fire in the red-hot stove that heats the small, basic kitchen, his wife Danche – a life spent as a shopkeeper in the village's grocery, runs an unusual, yet effective accounting of the depopulation of Gorna Bela Rechka. "When I was at work, we sold over four hundred loaves a day. Today, if all goes well, it gets to forty. And you have to book in advance, because the bread comes from outside. The bakery has been closed for years, like almost everything, after all". Gorna Bela Rechka is located in north-western Bulgaria, near the border with Serbia. 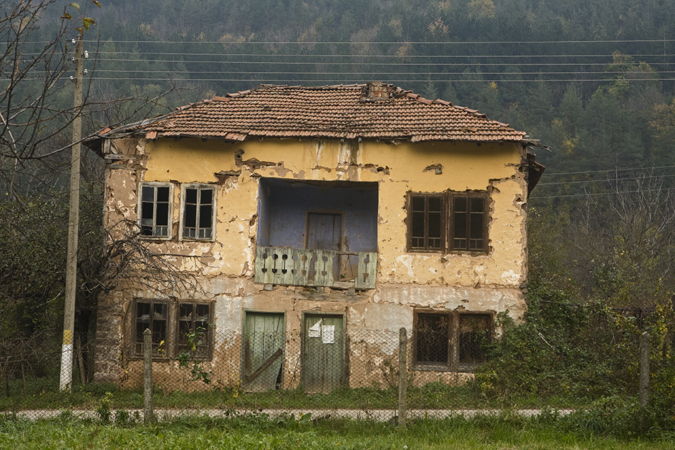 According to official statistics, this is now the poorest region not only in Bulgaria, but in the entire European Union. Here, the collapse of the socialist system dragged into dust the entire centralized, planned production system, developed in the years of the regime around heavy industry and mining. A collapse without redemption: since the early nineties, mass unemployment, growing poverty, and lack of prospects have given way to an unstoppable spiral of emigration, which has depopulated towns and cities. In the neighboring province of Vidin, for example, the number of inhabitants has dropped by 25 percent over the last decade. Many have tried their luck in the capital Sofia; even more decided to go abroad – to Greece, Spain, or Italy. "Here there were no prospects. Nothing at all. I moved first to various Bulgarian towns, then I decided to try my luck in Italy". Georgi "Gosho" Georgiev is intent on chopping wood in his backyard, right in the center of the village, waiting for the winter. "In the beginning, in order to find work I had to pay for the services of a sort of mafia that exploits people who, like me, had no contacts or friends". In Italy "Gosho" spent twelve years, first working in constructions in Calabria, then in a quarry in Abruzzo. "In the end, the crisis reached your country too”, he says with a broad smile, furrowed of subtle, perhaps slightly bitter irony, "and then I came home. What else could I do?". His, in these areas, is a common story. And emigration from this region of Bulgaria, very often, tells stories of women. A touching documentary by renowned filmmaker Stefan Komandarev, titled "The town of the 'badante' women", tells the fate of nearby Varshetz (about six miles downstream of Gorna Bela Rechka), where hundreds of women have left their loved ones for Italy, to care for the elderly. "For mountain villages like Gorna Bela Rechka, however, the story is much longer and more complex. Here, the trauma of depopulation began much earlier, as early as the fifties and sixties, first caused by the process of forced collectivization of the land, which severed the millennial ties between farmers and their land". Mariana Asenova, for a long time a reporter of Bulgarian National Television and now president of the cultural association "Nova Kultura" as well as of the Slow Food convivium of Gorna Bela Rechka, retraces the most important steps that led to this difficult situation. "Deprived of lands and flocks, farmers and shepherds had to leave their villages and move to the larger, industrialized cities. 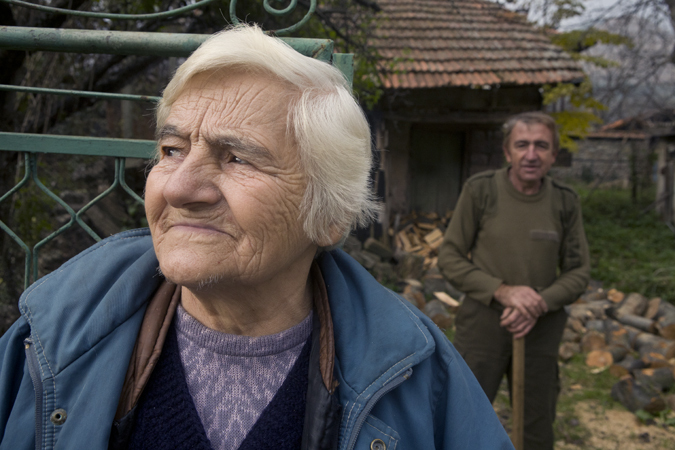 Today, most of those who returned to Gorna Bela Rechka did so as pensioners, after spending much of their life in town. Yet, they still retain valuable elements of that knowledge inherited from distant generations – knowledge that comes from living in and loving their land". 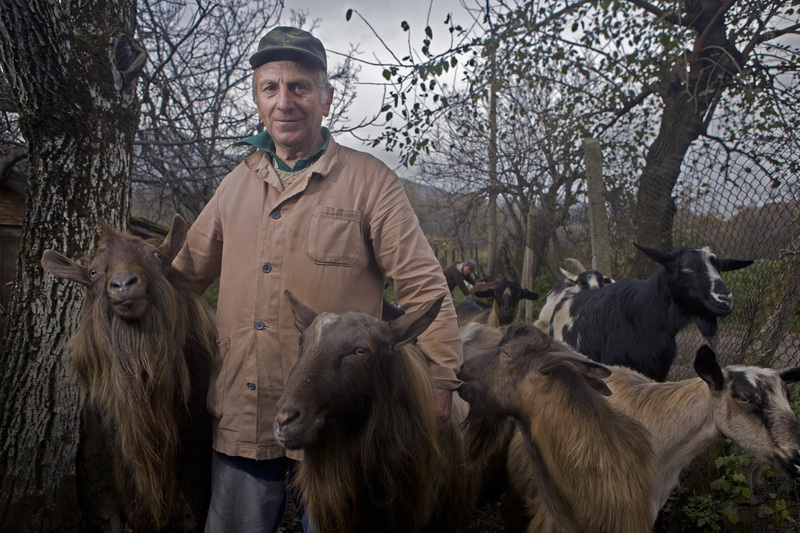 Such bond survives today in a mild, minimalist, yet vital symbol: goat milk and the special izvara – adense, full-bodied ricotta, which in Gorna Bela Rechka takes unique flavour and texture. 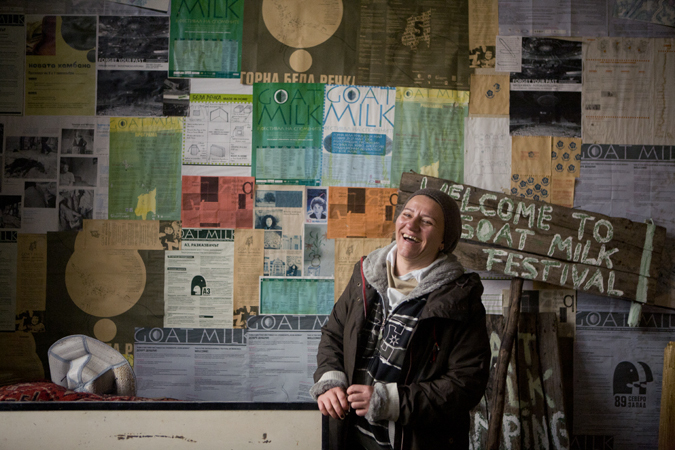 Not surprisingly, "Goatmilk" is the name chosen by Mariana and her colleague Diana Ivanova for the "Festival of memories", a ten-year old event that every May 24th brings to the village a diverse community of artists, journalists, environmentalists, and just curious visitors from Bulgaria, but also from many other countries. An opportunity to reflect on the past and the future, and at the same time a laboratory to explore recovery strategies and rethinking of northwestern Bulgaria. "The tradition of raising goats for family needs never stopped, not even during the communist period. Then, each house produced yogurt, sirene (fresh cheese), and, of course, izvara. Like many, I learned the process from my grandmother". 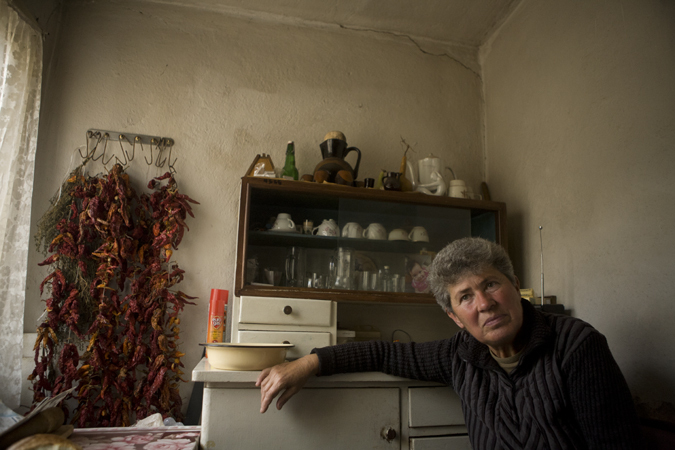 Siyka Petrova, member of the convivium of Gorna Bela Rechka, invites us into her home, at the end of the village. The house speaks at the same time of economic hardship and deep love for one's land and life. On one wall hang long braids of dried peppers, ready to be consumed during the winter; on the other an old still life print, with photos of children and grandchildren peeking from spartan silver frames. "The best time for izvara is from July to August, when milk is more dense and flavourful. But the most important thing is the processing. Today, with only three goats, it takes me a week to fill a one-gallon can". It is this very slowness, however, that creates the unique izvara of Gorna Bela Rechka: the long process of fermentation and boiling leads to a natural caramelization of sugars in milk, which gives the final product its brown colour and unique texture and flavour. "Just a brief final blanching and izvara can be stored in glass jars, even for years", concludes Siyka, who ca not resist the temptation to open one on the spot, to prove that "there are a lot of kinds of izvara, but none like in Gorna Bela Rechka". Soon, she adds a steaming plate of spicy sparzha, a specialty made with giblets, liver, and pig heart. "The situation in north-western Bulgaria today is dramatic. No need to hope for miracle solutions. But we have to start to build perspectives and hope", is Mariana's convinced position. "We believe in small steps: each element of local knowledge and culture that is safeguarded is a seed that can bear fruit. First, however, we must convince the people of the region that their knowledge, their memories, their recipes are important. Not only as historical memory, but as a living heritage that has meaning in the present and in the future. The relaunch also passes through the fight to save the izvara of Gorna Bela Rechka: a humble, yet deep symbol of the ties that bind us to this land".